I’m finally releasing my latest projects! I’ve been working it for months and I’m so happy to share it with you all! With the help of my sister, Pa Kou, I was able to create a mini recipe cookbook on Nab Vam for everyone! It provides a fast general idea of how to prepare Nab Vam for you and your family. I hope you find the recipes easy and sweet to your taste. Please share with me your thoughts, photos, and final products by tagging me through the social media outlets! I would love to see them! Did you take a look inside the Nab Vam recipe cookbook? Did you like my recipe for Nab Vam? I hope so! Not only did I photograph the process to this sweet drink, I captured the final look as well. I have the photograph of my Nab Vam drink for sale on my etsy shop: pachiaaa I wanted to capture the beauty of this colorful drink and bring it to your kitchen! I thought who wouldn’t want to see this vibrant drink on their kitchen wall? It is contemporary, modern, and brings a burst of color into your house! I hope this image brings all the sweetest to your kitchen! My second project is my Etsy shop! My shop includes prints I had taken during my Thailand and Laos trip in 2012. Not only that, I included some personal photography and designs. 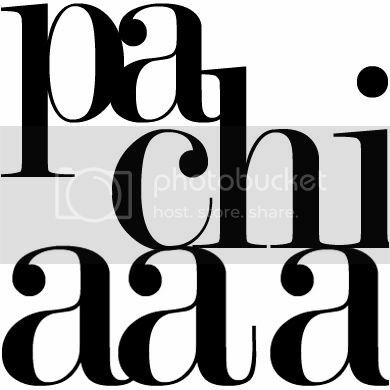 Under the name “pachiaaa,” this shop will house all my creative products coming in the near future! When you have the time, follow me! I’m in love with your nab vam book! Thank you for putting it together. You and your sister’s time and efforts are appreciated xoxo. I just followed your blog! Can’t wait to read your other posts and future posts. Feel free to stop by and say hello as well! Hello, Lisa Estrella Yang! What a name you have! It’s beautiful! Thank you for stopping by and leaving your message! I just visited your page and you’re full of energy!!! I love it! I can’t wait to see where you go with your blog!! ❤ ❤ ❤ To the future! Cheers!